I finally got to sit down and hang out with my dear friend Erinn Berkson last night and do some long overdue catching up. You probably haven't seen much of her either, because the woman has been simply swamped. 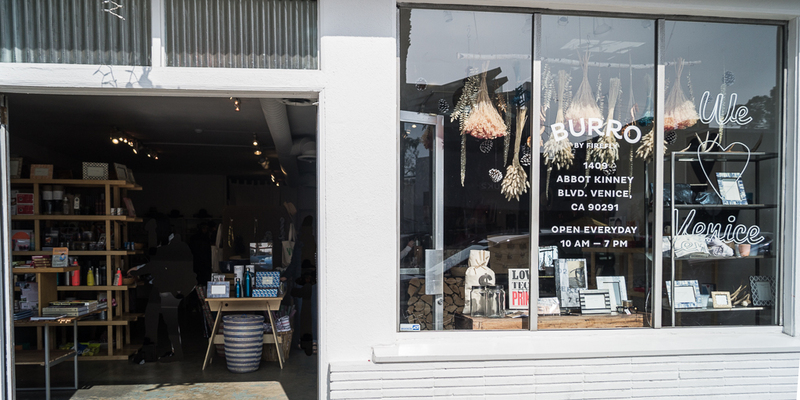 In one of the very few Abbot Kinney mom and pop success stories, Berkson has taken her beloved Venice shop Firefly and transformed it into a mini-Empire called Burro, and expanded from her flagship space on Abbot Kinney to include outposts in both Malibu and Westlake Village. In like six months. Wow! 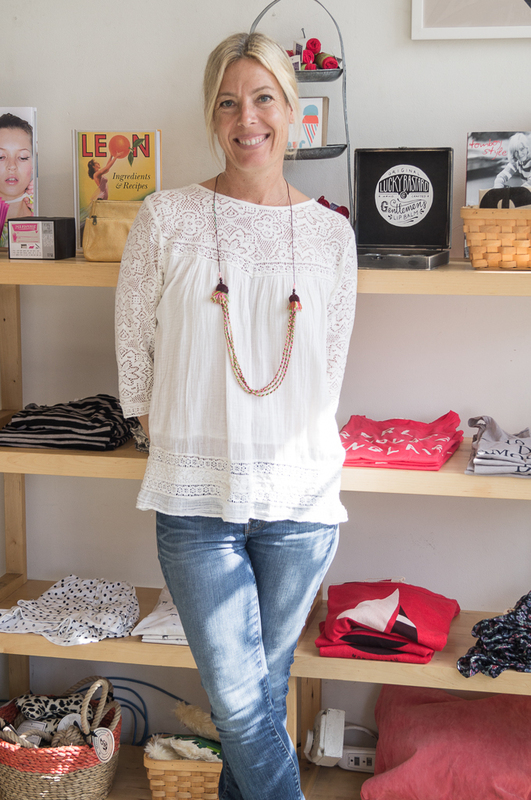 Asked why she changed the name when it was already so well established, Berkson said that when it wasn't clear if she'd be able to stay on Abbot Kinney with its skyrocketing rents, she had to think about what she would do next. It was sink or swim time, and she chose not only to swim, but to soar. The name Firefly never really resonated with her, but she has always loved donkeys. They are - like her - extra hard working animals, and a symbol of the Old Californ-i-a pioneering style - also very much like Berkson, a fifth generation native Californian, and one of the first shops to make Abbot Kinney "cool" in the first place. When the opportunity arose to open in a beautiful part of Westlake Village ("Seriously, going there is like a work vacation" - E.B. ), she took the shot. Construction delays happened, as they do, and in the meantime a space became available in the Malibu Country Mart. So, Hello, Malibu! Berkson took the fixtures and stuff for Westlake Village and put it in Malibu, where they opened right before last Christmas on December 10th. Also right before last Christmas, the very day after Berkson got a storage space on Venice Boulevard to store all the merchandise for the new stores, the Public Storage facility caught on fire. Most of the merchandise was destroyed, just as the Malibu store was about to open. Her attitude about it is amazing, as she considered her loss nothing compared to the priceless art and treasures that other people had stored there. But it was a huge drag, and the last thing she needed, with the stress of three stores going she was already dealing with. NOW I totally got why I hadn't been whooping it up with my friend, Erinn in a while. Geez Louise. It's all good now though, in fact, more than good. All four (including the precious Baby Burro, also on Abbot Kinney) stores are open and thriving, and whenever Berkson can get away from doing inventory and ordering the thousands of beautifully curated gems you can find in her Burro stores, she cruises around to check on them, and catch up with her longtime diehard customers, often with her darling daughter, Mia (now 5!) in tow. 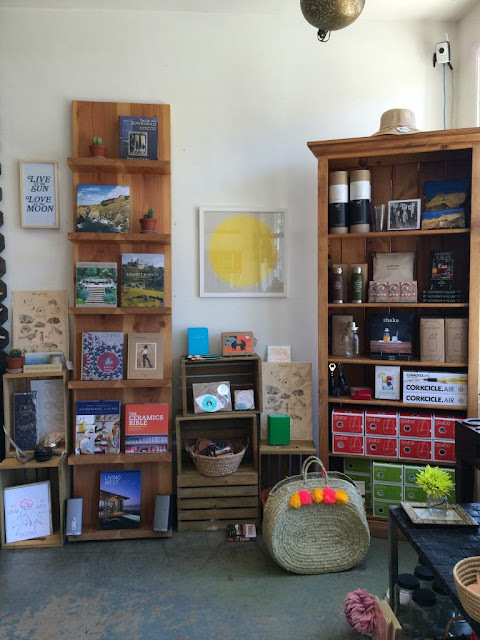 The Westlake Village location is the first store that Berkson fully curated and planned in advance ("Abbot Kinney still has furniture in it from my old house! "), and she says it's a dream come true. I cannot wait to visit when I next go over the hill. "Venice is my home. I live here. I love it here," explained Berkson about all of this. I'm glad we're explaining it too, because she told me that one Venice customer, not knowing who Berkson was, said right to her face, "Yeah, the owner totally sold out." Not true. At all. In fact, she's made the very best of the situation here, and along with pioneers like The Green House, Principessa, Venice Vintage, Enda King, and Ananda, they are not only standing their ground successfully, but branching out and getting bigger. This makes my heart swell, and I'm so proud of all of them for being bastions of calm and community within the influx of corporate chains that are challenging the unique sense of place that Venice has always been known and loved for. They're just not having it, and I love them for it. And I love Erinn. I'm so proud of her for all of this, you can't imagine. I remember the days of sitting out back of the original Firefly space next door, making margaritas, writing up sales on garage sale pads ... Burro has come so far, it's truly amazing. I'm just thrilled for my dear, dear friends, and proud that so many more people are now getting to know her wonderful taste and sense of fun. Awesome. 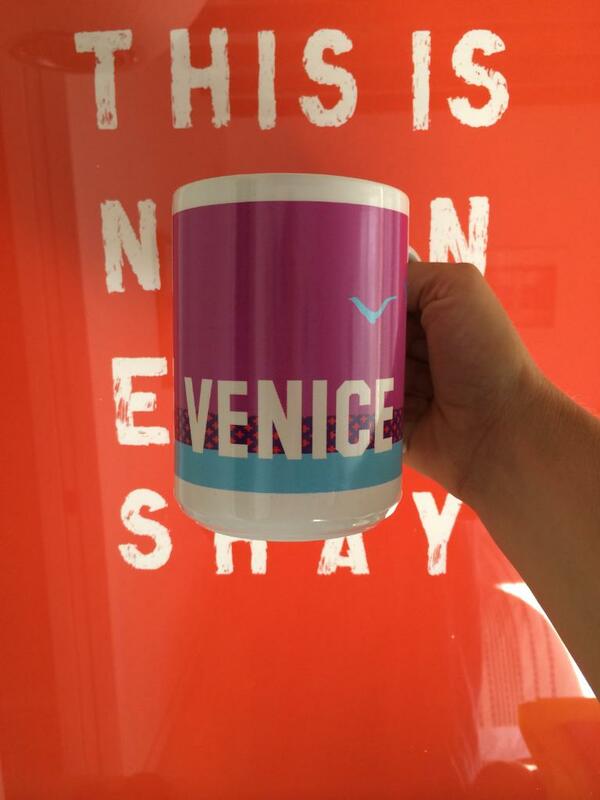 "Venice means all these 70's artists that were living here, and still influence and shape me. They're still here, they're still working and swearing and acting like the innovators they were, and still are. People moving here now are moving here for that, whether they know it or not, and they need to have some VISION. Wealth does not mean you have to tear down bungalows." Yeah. Berkson went on to say, "But Venice through my eyes might be different now for someone new that's 25 ..." And perhaps that's part of the hipster mentality. 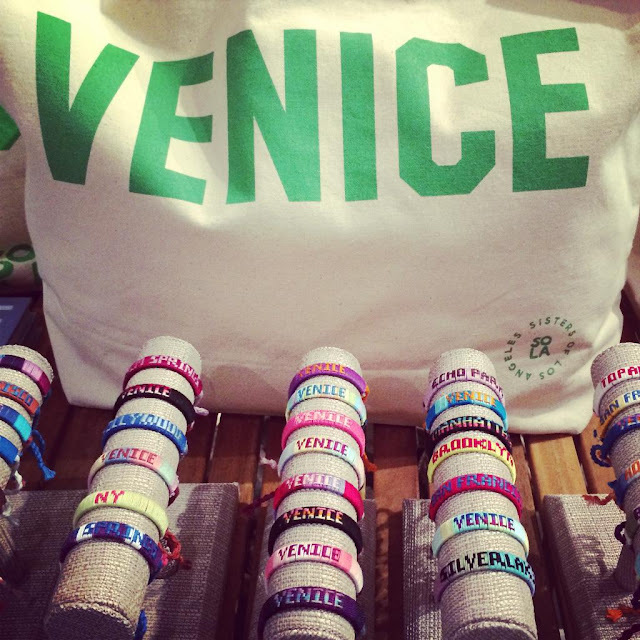 We'll continue to support our truly LOCAL businesses that continue to strive to make Venice different and special (and are happy to share that same magic now with Malibu and Westlake!). Please support your original pioneers of Abbot Kinney so people will continue to know what cool truly is. Go Erinn!! !